Being both a pet and a plant enthusiast can be a difficult thing, especially when certain indoor or outdoor plants can be harmful to your feline or canine friends. Moreover, this can be more challenging when you think about going out camping with your four-legged companions. Here are 10 toxic plants for pets you should know about if you have pets. This is a guest post by Miranda LaSala from Purring Pal. The Animal Society for the Prevention of Cruelty to Animals or ASPCA states that there are around 1,000 plant species that are potentially toxic to cats and dogs, while 579 plants are safe to have around with your pets. Here are the most common indoor and outdoor plants to avoid in order to keep your pets safe and healthy. Having plants in your home is an effective way to make it more appealing, relaxing, and improve its overall appearance. Having indoor plants also has many health benefits. However, not all plants are as beneficial for your furry little friends. Some indoor plants are actually harmful to our pets. So, before going out shopping for new plants for your home, take a look at the most most common plants that are poisonous to cats and dogs. 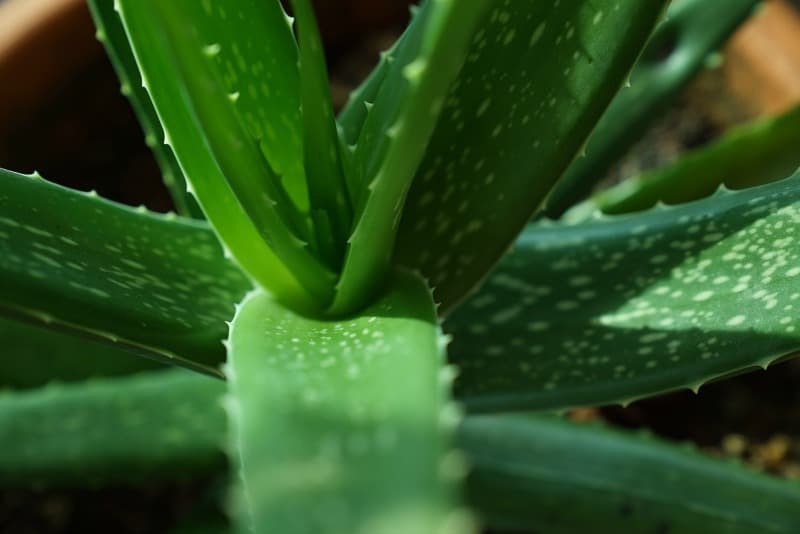 Aloe Vera is a very popular household plants. It’s also considered to be one of the most useful medicinal plants to have around in your homes. Used as natural medicine, it can treat various skin conditions such as irritation and inflammation. But however good it may be for us humans, the same cannot be applied to our four-legged friends. 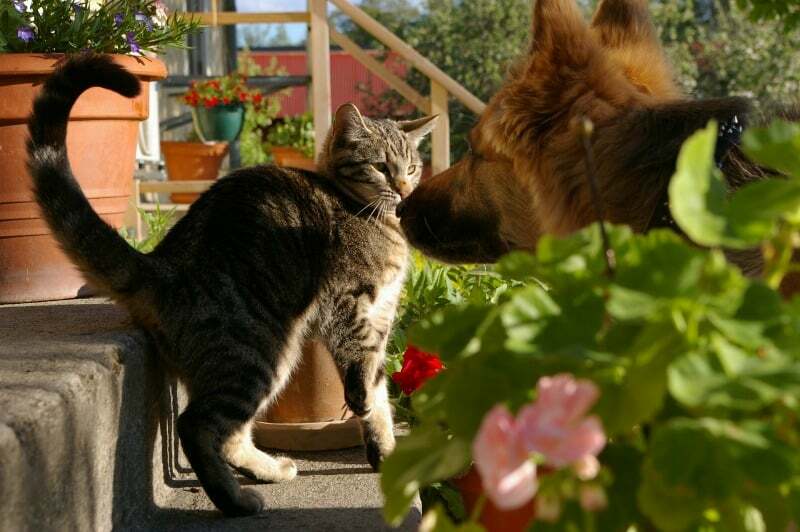 The sap from aloe vera, when ingested by your pet cat or dog, can cause an upset stomach. This may lead to diarrhea, vomiting, tremors, and other mental effects such as depression and anorexia. Lilies are probably one of the prettiest and most attractive flowers that you can have in your home. 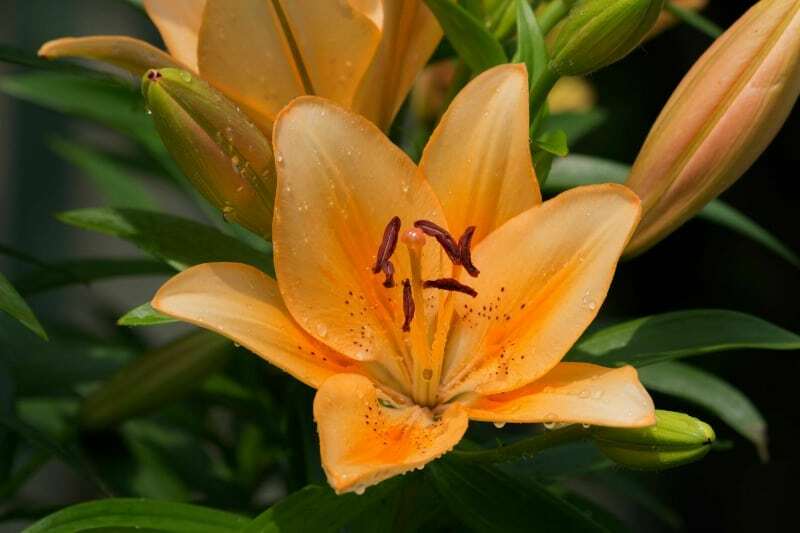 However, some lily species can be toxic not just to your four-legged friends, but in humans as well. Among the estimated 90 species of the genus lily plant, the ones that are harmful to your pets according to ASPCA are Peaceful Lilies, Amaryllis, Autumn Cross, Palm Lilly or the Dracaena, Lily of Valley, Tiger Lilies, and Stargazers. When cats, for example, get exposed to these plants, they may experience vomiting, diarrhea, and weakness, to more serious problems like kidney failure. 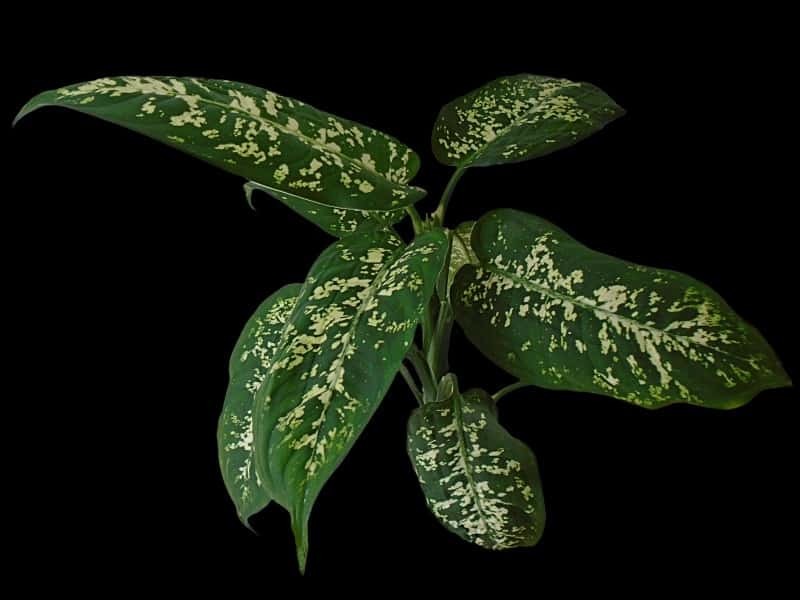 The Dieffenbachia, or more commonly known as the Dumb Cane, is a beautiful perennial. Its simple appearance with alternating leaves and white spots and flecks make it an ideal plant to beautify your home. Unfortunately, this seemingly harmless plant can be dangerous to your pets (it’s also harmful to people) when accidentally ingested due to its proteolytic enzyme and insoluble calcium oxalates. When your pet gets exposed to this plant, the primary symptoms you will observe, according to ASPCA, are vomiting, excessive drooling, difficulty swallowing, and oral irritation. Native to Japan, Southeast Asia, and India, the sago palm can grow both indoors and outdoors. One of the most distinct properties this plant is known for is its ability to produce a starchy food from the extract of its trunk known as sago. 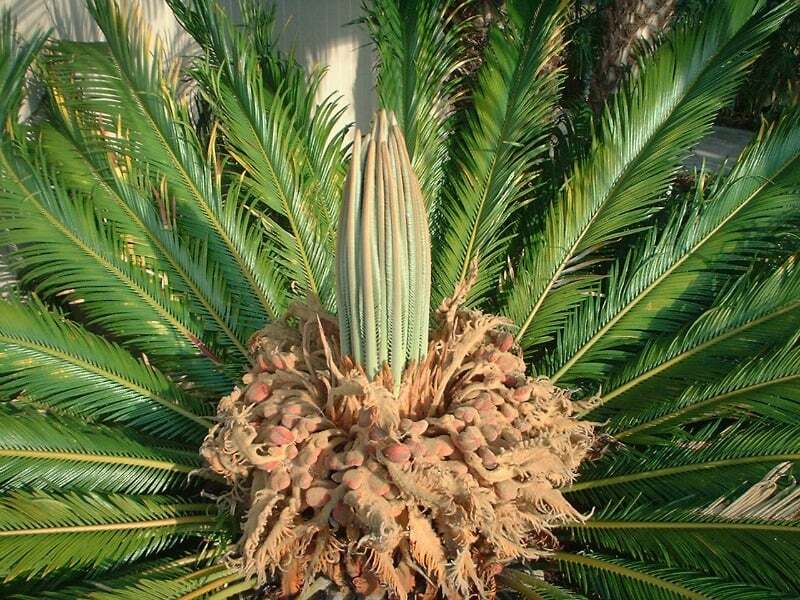 While pretty and easy to grow, sago palm can be harmful, and even deadly to your pets. Your cat, for example, once exposed to this plant, may experience vomiting, diarrhea, bloody feces, increased urine and thirst, and other neurological problems like depression, seizures, and coma. The common ivy or the English ivy is known for its bright and beautiful leaves and its ability to cover exterior walls and fences. 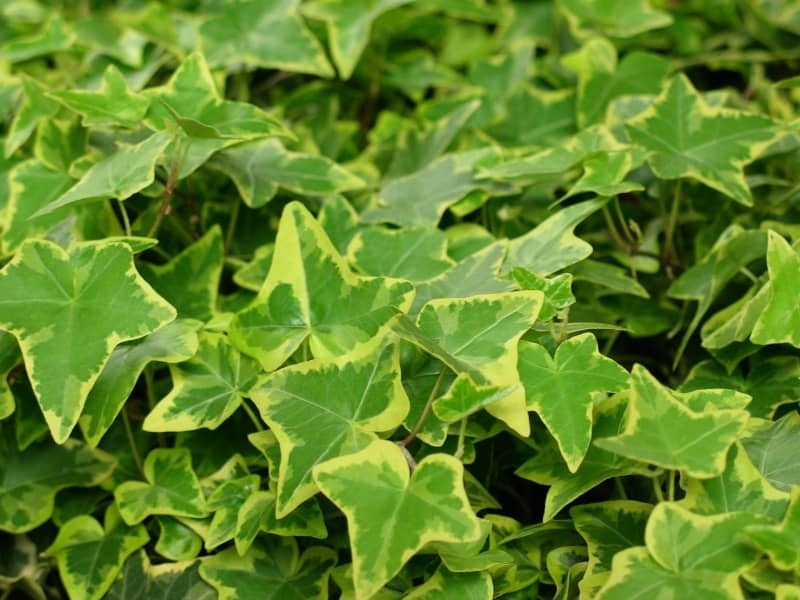 While some people admire the beauty of ivy plants, other people think of this plant as annoying because it’s so invasive. Ivy can cause mild skin irritation, dermatitis and inflammation in humans. The effects on your pets, on the other hand, can be more severe as exposure to this plant can cause vomiting, abdominal pain, hyper-salivation, and diarrhea. One of the best ways to relax and unwind is going outside to have a walk in the park or go camping. This experience can be much more rewarding when going out with your furry best friends. However, this activity can turn dangerous as pets might become excited and chew on plants that can be harmful and toxic. Take a look at this collection of plants, to get a better idea of what plants to avoid while camping out with your pets or the plants you need avoid in your own garden. 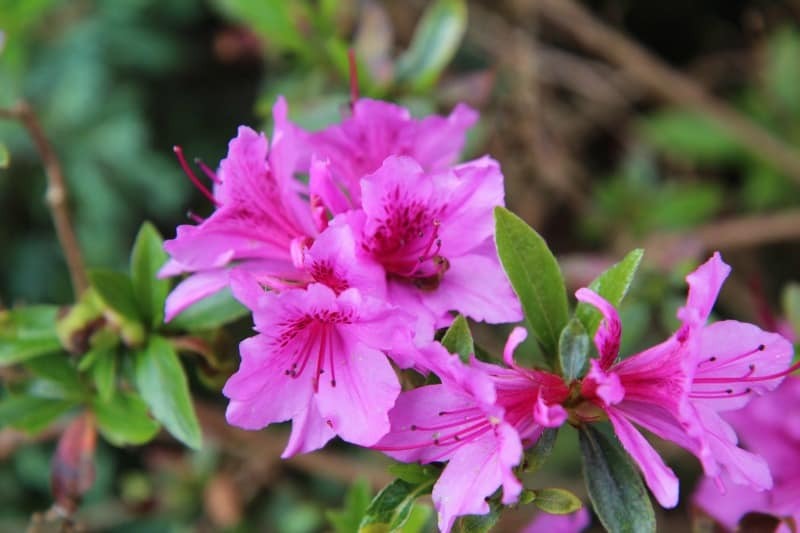 Native to North America, the azalea is a plant belongs to the Rhododendron family. It is known for its colorful blossoms and a somewhat challenging upbringing. Despite being one of the most popular fruits used as an ingredient to a lot of recipes and cuisines around the world, the tomato plant is surprisingly toxic to your pets. 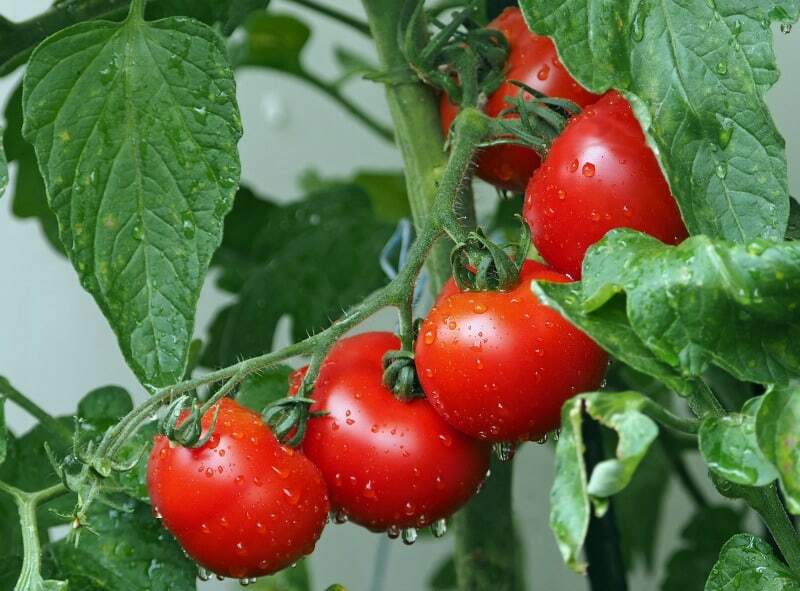 The green parts of the tomato such as the leaves and the stem contain a chemical called solanine which is poisonous to dogs and cats especially to pups and kittens. If your furry friends get exposed to tomato plants, you will notice a difference in their behavior along with the symptoms such as hypersalivation, loss of appetite, weakness, dilated pupils, and slowing of the heart rate. Cherries have a lot of health benefits, as well as nutrients such as fiber, antioxidants, and vitamins A and C. Like the tomato, however, the green parts of the cherry( stems and leaves), as well as the seeds are toxic to both dogs and cats. 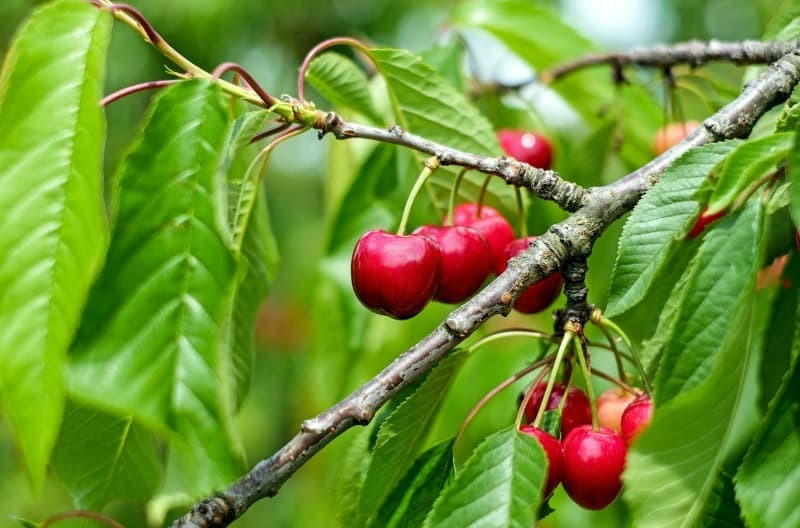 According to ASPCA, cherries contain cyanogenic glycosides that, if accidentally eaten and ingested by your pets, may induce symptoms such as dilated pupils, difficulty breathing, redness of the gums, and shock. If you live in the Central North and the Northeastern parts of the US, you may have come across the white cedar. The white cedar – also known by many names such as the bead tree, Texas umbrella, China Ball tree, and Persian lilac, is a small to medium-sized tree that is commonly used for fences, canoes, posts, and outdoor furniture (like this gorgeous potting bench). When planning for your next trip to the nearest trail in the woods with your pets it’s vital to look around and make sure it’s safe. When your pets get in contact with any white cedar leaves of bark, they will most likely show symptoms like vomiting, diarrhea, salivation, weakness, and other neurological issues such as depression and seizures. Probably the most controversial plant on our list is the marijuana (also known as cannabis). It contains a chemical known as tetrahydrocannabinol which is believed to have a lot of health benefits to humans, curing diseases and even some mental disorders. No matter how good the benefits of inhaling or ingesting marijuana might be to humans, is can cause severe health conditions to pets. If by chance that your pet accidentally ate marijuana, the symptoms that you are most likely to see include vomiting, sleepiness or excitation, hyper salivation, dilated pupils, low blood pressure, and the more serious conditions like seizures, coma, and on rare occasions, death. The first thing you need to do is to confirm if your pet was in contact with a poisonous plant. Do you own a plant that is poisonous to your cat? Is your dog exhibiting weird behavior after munching on a plant that you suspect is toxic? The next thing you need to do is to watch out for common symptoms like vomiting and diarrhea. 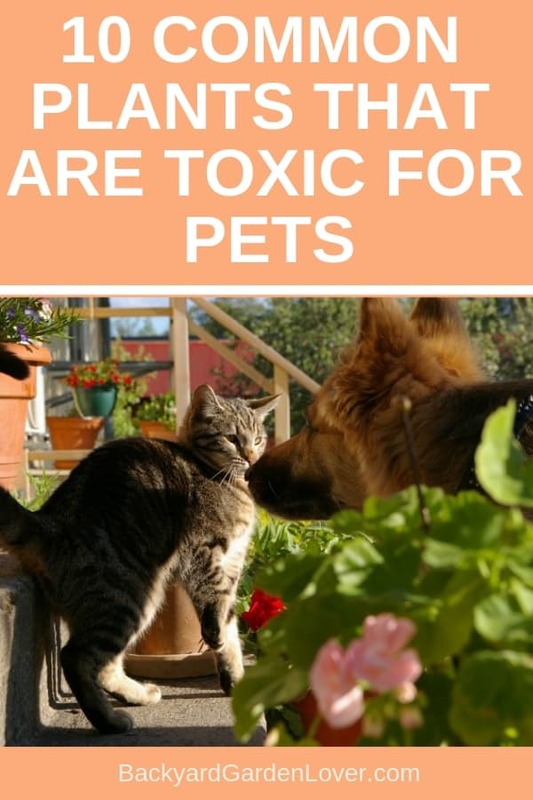 Once they show these signs after letting them play outside and getting in contact with plants, or if you suspect that they were exposed to toxic plants in your neighborhood or while out camping, call or go to your nearest vet immediately to stop any further complications. To give you a better idea of what these toxic plants for pets look like, as well as other information, take a look at our info-graphic below.